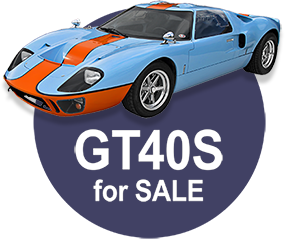 This large ‘authority site’ is where you’ll find the best selection of Shelby Cobras and 427 Cobra replicas for sale. It’s all about the racing and street machines produced by Carroll Shelby (Shelby American) back in The Golden Age of the Shelby/Ferrari road racing duels. Back when muscle cars ruled the motorways. Among those muscle cars of yesteryear, the Shelby Cobra had no equal. Even today this serpentine drivin’ machine has no equal. 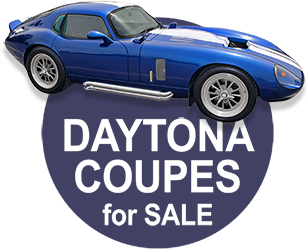 If you have a Cobra [or a Daytona Coupe or a GT40] you wish to sell, you’ve come to the best place to do it. And in corollary fashion, if you’re scouring the planet seeking to acquire the Cobra of your dreams, you also have come to the best place. 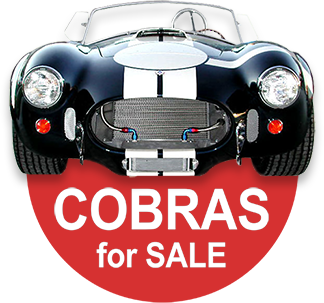 Be sure to click on (and test drive) CobraCountry’s Sidewinder’ internal search engine—its ignition switch is that magnifying glass you see on the RHS of the menu bar. Sidewinder was custom tailored for CobraCountry so that you can (almost instantaneously) go to what you’re looking for… Cobra advertisers, suppliers, performance shops, feature articles, names of notables and event attendees, editorials, our Humor Dept., even Gift Shoppe collectible items and wall art. And many more keywords and search terms will work for you in the future as new feature articles and more industry producers and suppliers are added. CobraCountry. So have at it, and enjoy!